Add texture and magic to your floors! 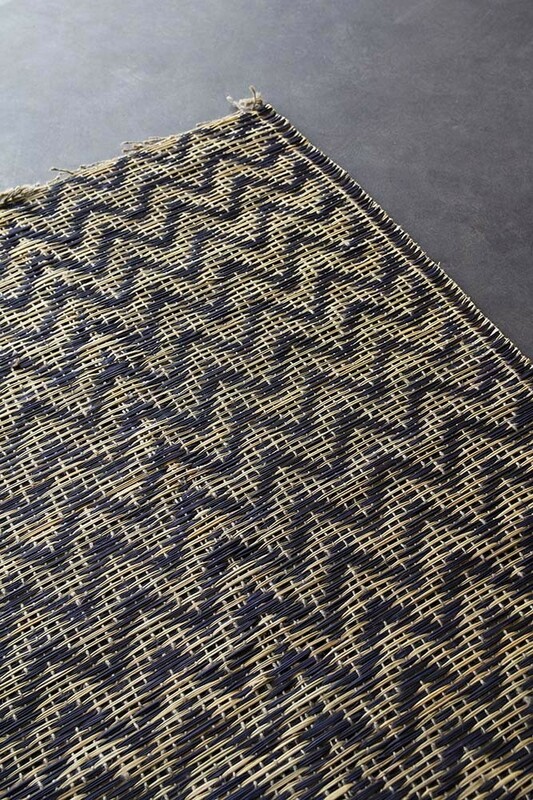 Our new Natural Moroccan Bamboo Rug With Chevron Pattern in Midnight Blue is part of the RSG Own-brand collection from India – a country known for awakening the senses! 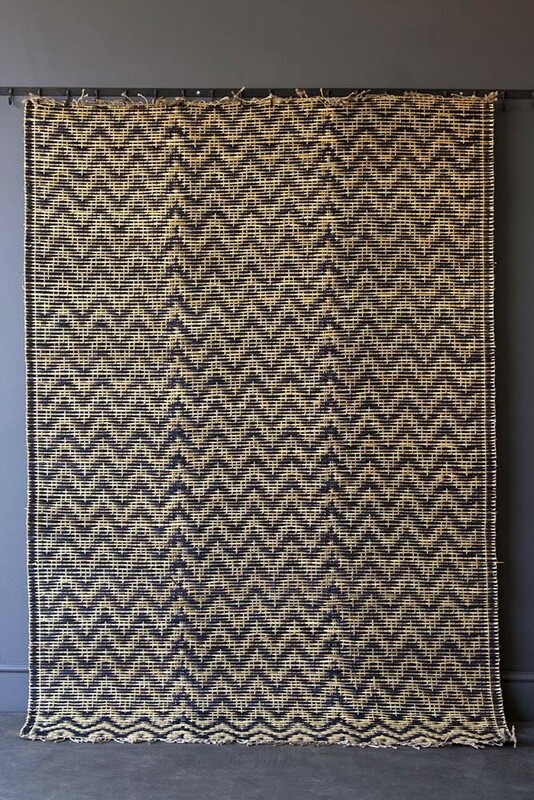 The perfect floor rug to add cheerful warmth and textures to the home, we think that the Black Bamboo Rug is an easy and simple way to jazz up and add a layer of texture to your hallway, living room, kitchen, bedroom, or home office. Ideal for renters who are restricted to one floor or carpet choice, the black rug would look beautiful just about anywhere in the home, but we think that it would look particularly great in the kitchen! 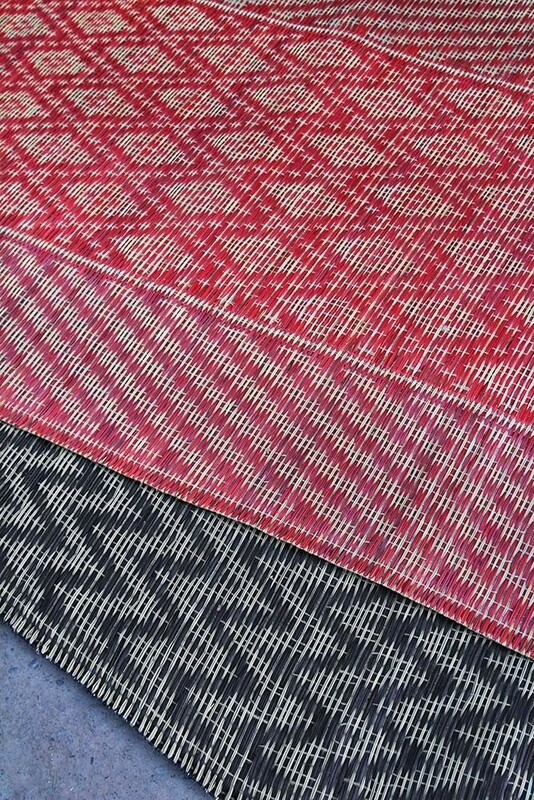 We find that often people avoid placing in rugs in the kitchen because of the obvious perils of crumbs, spillages and food stains – but darlings the beauty about patterned rugs is that the rugs will hide this and any mess can easily be cleaned up with a hoover/wet-sponge. Patterned rugs can create magic in neutral toned or one-colour palette kitchens and of course add extra cosiness to a room where you are often on your feet! 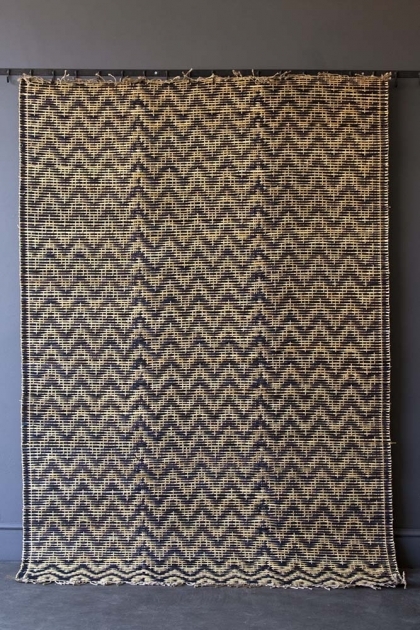 Alternatively, you could hang this sophisticated black and natural chevron rug on your walls in your living room, snug, or at the head of the bed as a make-shift headboard for a bohemian chic vibe. 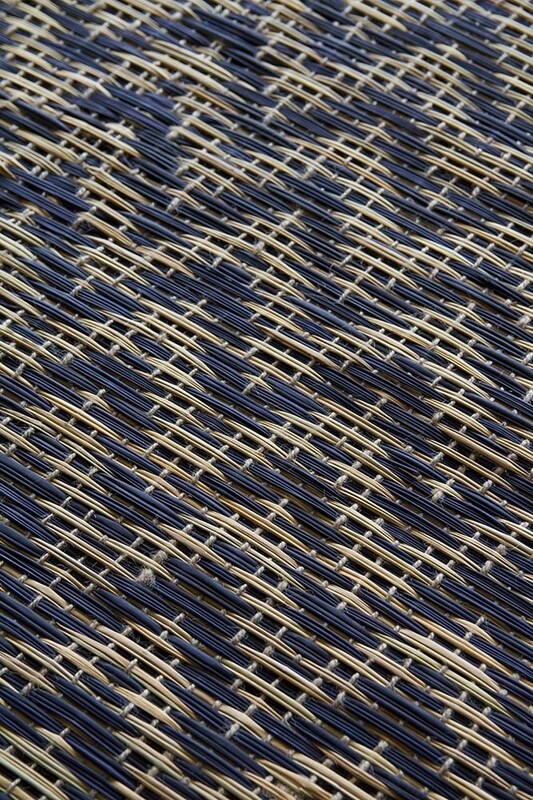 A truly beautiful flooring choice … be brave, be daring and do something a little bit different with your chevron midnight blue bamboo rug!